The rest of the world moves on, and the news (read political gossip) is all about the website rolling out so that the U.S. can join the rest of the wealthy democratic nation-states in having insurance. Is this PArochiaL or not (caps intended)? What happened to governance? What happened to letting people just sign up, working out the kinks, and possibly having politicians and pundits alike stop worrying about their own careerism or self-interest? The next national election isn’t until next fall, for heaven’s sake, and even then 65 percent of voters will stay home, so it’s only the 35 percent who care. And among the 35 percent who care, at most 10 percent are big enough news junkies to know what is political theater and what counts. We will find out next week how many New Yorkers vote for a new mayor for the first time in 12 years. 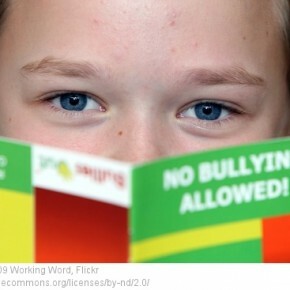 Here’s the perfect syllogism: 1) My sons have to sit in high school auditoriums attending anti-bullying sessions to ensure that they and all their hundreds of classmates are not bullies (and, sadly, to give our schools and their administrators — be they public or private — their own protection from lawsuits). 2) A bully is, by definition, someone who picks on those who should be protected, and relies on the most personal, humiliating, cowardly means possible. 3) Michelle Obama’s agenda as a First Lady promotes well-being and healthy practices, particularly among those who deserve more protection (e.g., girls, LGBTers, those practicing pansexuality), so what was Barack doing? Why did he wait to use his bully pulpit to fire a bully? Well, bully for Obama in firing a bully. And no doubt the Right will simply portray this policy-wonk loser as another leaker, or a heroic whistleblower, when he should’ve been a bully without a pulpit years ago — that is, if any of this is true. Then, again, how can Obama pay attention to all of this when his administration is being blamed for website rollouts? Talk about trying to pull the Obama presidency into the micromanaging muck . . .